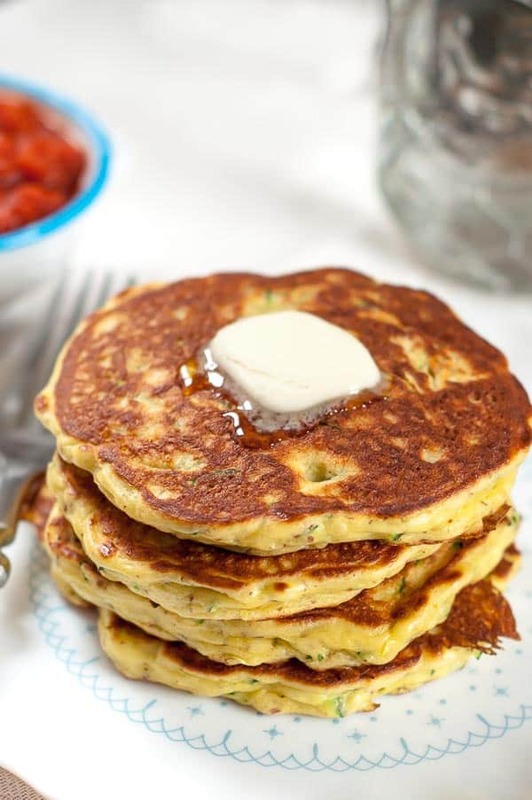 Curious how to make broccoli taste good? Make Baked Broccoli and Cheese! 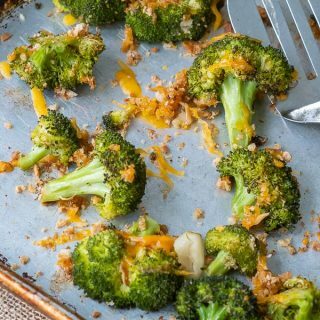 Fresh broccoli tossed with toasted breadcrumbs, garlic, and gooey, melted cheese makes this a side dish hard to ignore! 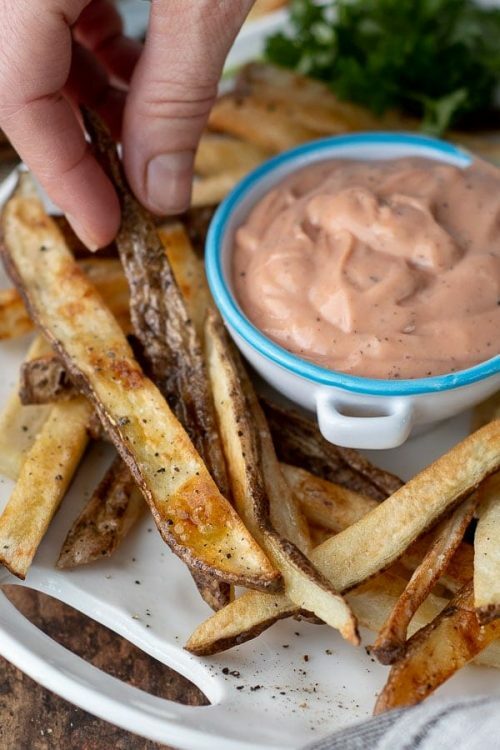 While the taste makes this recipe a winner, an added bonus is how fast and easy it is to throw together. 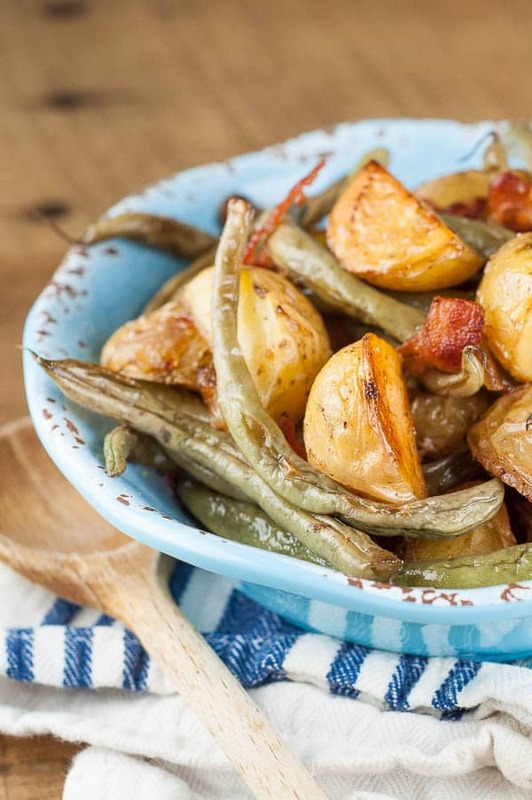 Everything is tossed together in one pan and on the table in less than 20 minutes. Adapt Baked Broccoli and Cheese recipe to what you have on hand and preferred tastes. Adjust the amount of garlic, substitute different cheeses, such as parmesan, or leave out the breadcrumbs. 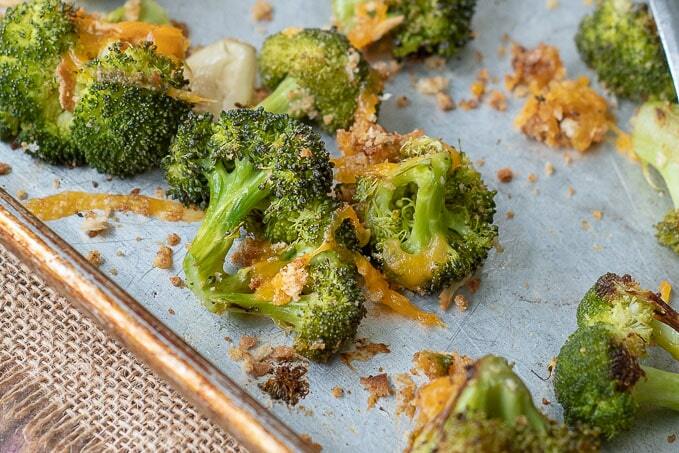 Roasted broccoli and cheese will be your new go-to broccoli recipe! 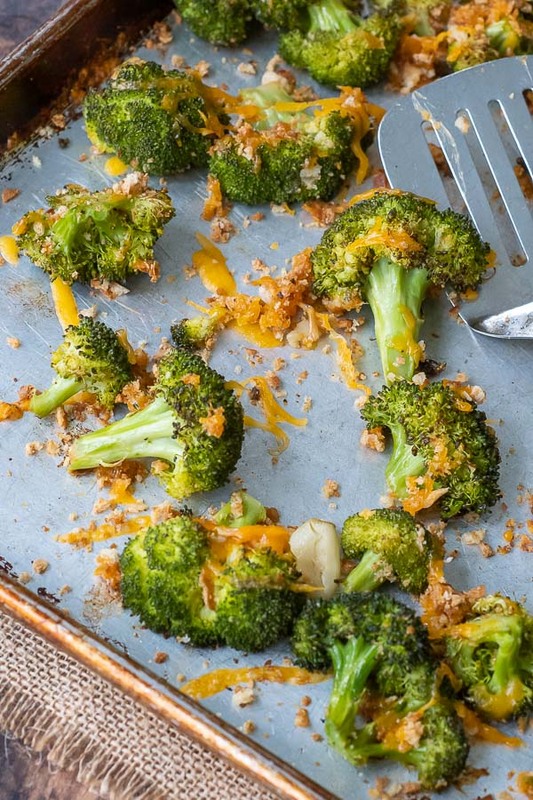 Baked Broccoli and Cheese is an easy, healthy way to sneak in those veggies! Everyone in our family devours crispy Baked Broccoli and Cheese at an alarming rate. 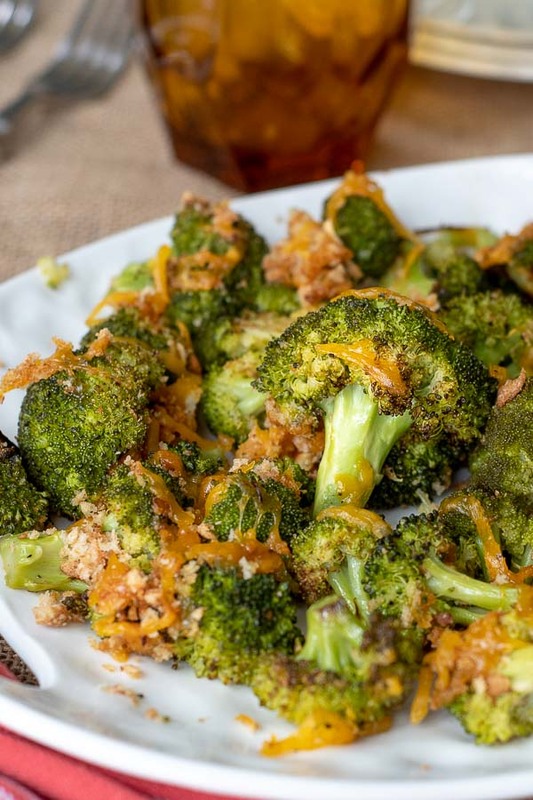 If you’re looking for veggies to disappear fast, broccoli with cheddar cheese is a solid choice! 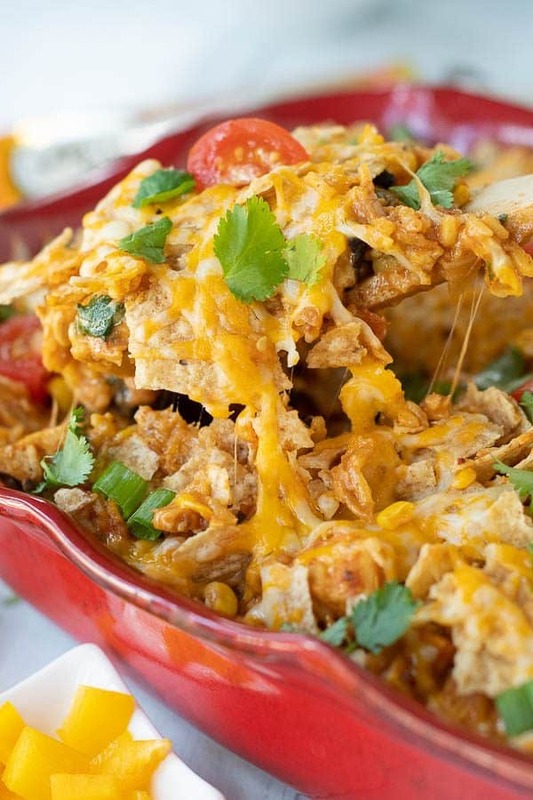 To make this recipe even healthier omit the cheese or use a reduced-fat version to save on calories. Spread olive oil on a baking sheet. On the sheet mix together broccoli, garlic, salt, pepper, italian seasoning, and additional drizzle of olive oil. 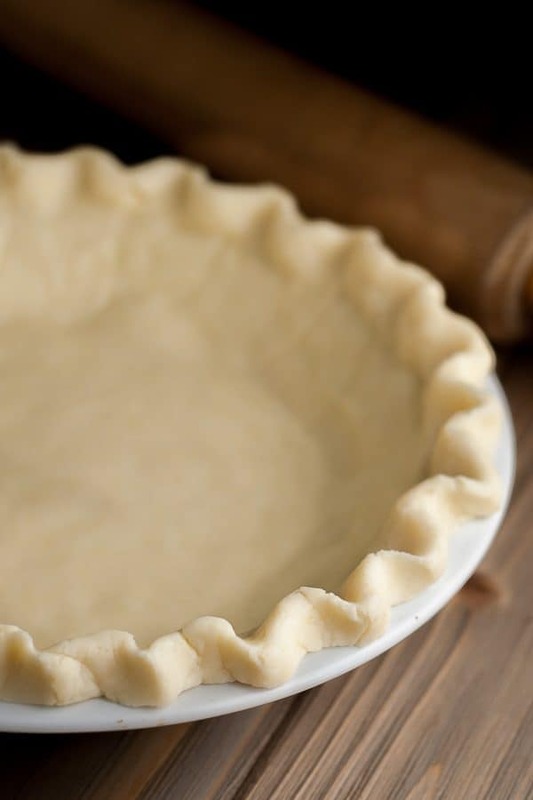 Bake at 450ºF for 15 minutes. 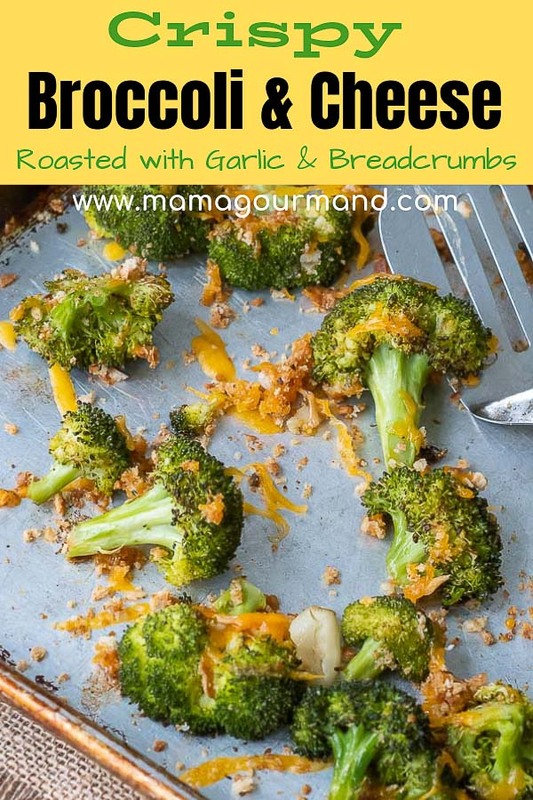 Bring broccoli to the middle of the pan and sprinkle with bread crumbs and cheese. Return to oven for 5 minutes. Toast 2 slices of bread until very dry, but not burned. 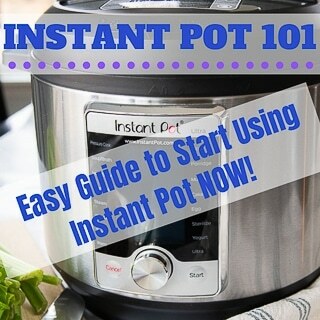 Cool slightly and place in food processor or blender to process until crumbled. For best results reheat broccoli in the same way it was prepared – in a very hot oven. 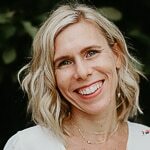 Preheat oven to 450ºF and bake for 5 minutes, or until hot and crisp. Or repurpose roasted veggies by throwing them in a soup, salad, mixing with scrambled eggs, or use on a flatbread. 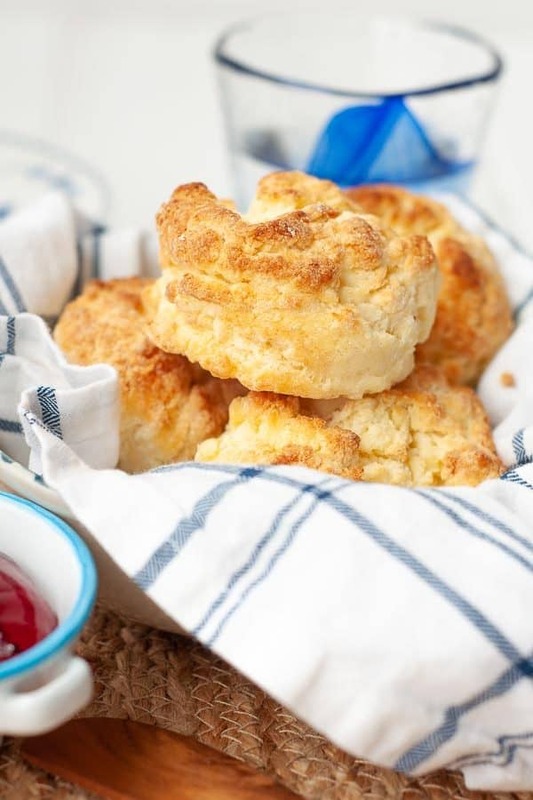 Don’t have breadcrumbs on hand? 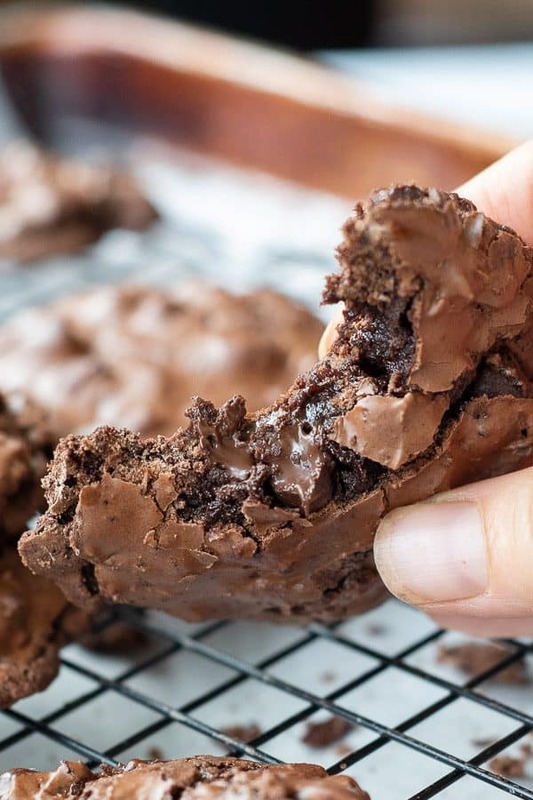 See above ⬆️for how to easily make them at home. To soak up extra water when washing veggies use large, lint free flour sack towels. 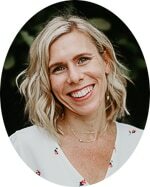 Want to Make it a Meal? 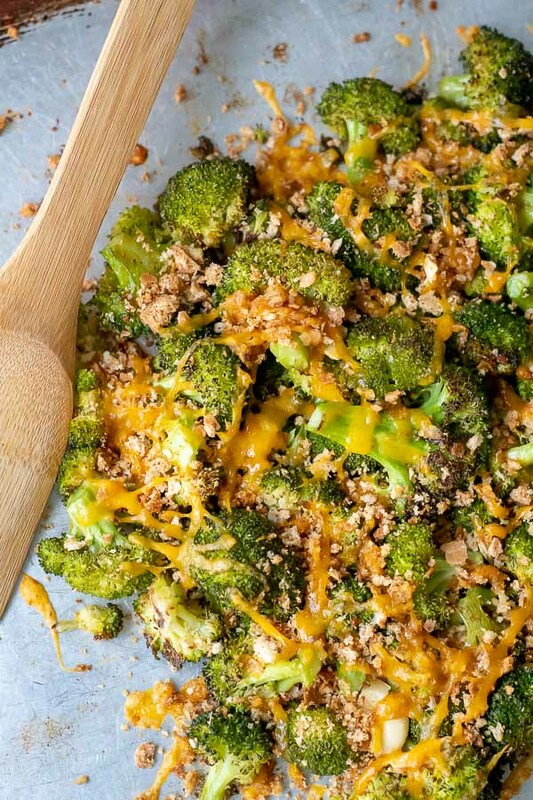 SAVE THIS BAKED BROCCOLI AND CHEESE RECIPE TO YOUR PINTEREST BOARD! Preheat oven to 450ºF. 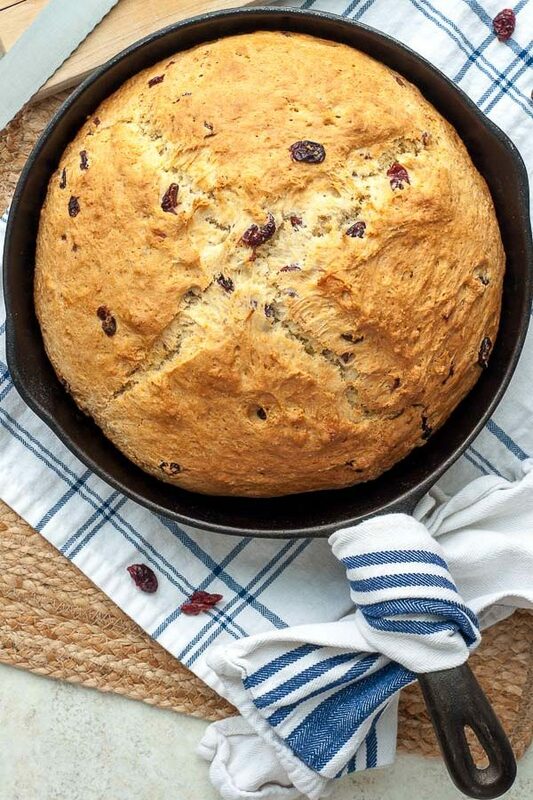 Spread 1 tablespoon olive oil on baking sheet. Add broccoli, garlic, salt, pepper, and Italian seasoning. 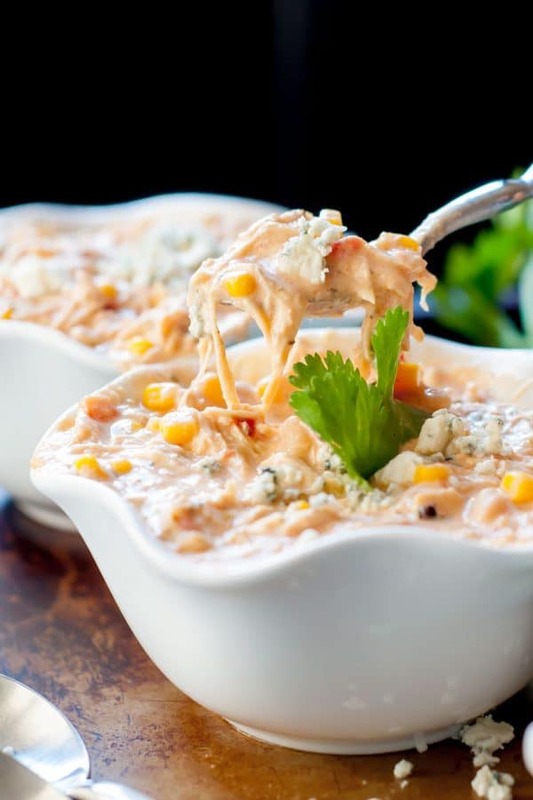 Drizzle with additional tablespoon of olive oil and toss to combine. Spread broccoli in a single layer and bake for 15 minutes. Remove from oven and use a spatula to bring broccoli together to the middle of the pan. Sprinkle with cheese and breadcrumbs. Return to oven for 5 minutes.